Dr. Ahmad Kussad is the General Manager of Middle East Plastic Industries, a leading supplier of all types of plastic raw materials based in Saudi Arabia. He is also the President of Industrial and Engineering Association in Jordan and President of Preliminary Committee for the Tidrd Jordanian Industrial and Mechanical Engineering Conference (Jimec 99). Prior to joining MEPI, Dr. Ahmad used to be a Research Engineer and Teaching Assistant in University of Salford; a field researcher in University of Manchester and Assistant Manager in Cedar Property Management in Manchester, England; and a lecturer at Applied Science University and University of Jordan, respectively. 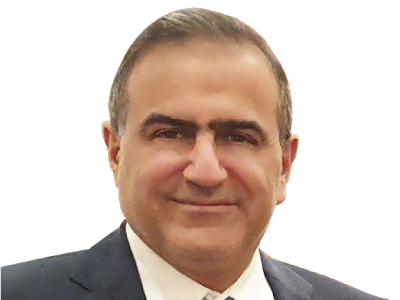 Dr. Ahmad is an industrial person who believes that the new technology with continuous commitment can raise productivity and improve the quality of work by reducing the cost, which will lead to new innovations and more expansion. Ahmad holds a PH.D. degree in industrial engineering from the University of Salford in Manchester, United Kingdom as well as a M. Sc degree in Advanced Manufacturing Technology from the University of Manchester Science and Technology (UMIST) in United Kingdom. Ahmad also published some papers as part of his accomplishments, Kussad a. A Redford a., high speed packaging of compliant products in food industry, the international journal of assembly technology and management; Kussad a. A., new principles for integrating pneumatic robot with assembly workstations, international journal of production research; Kussad a. A., “the implementation of plc sequencing with CNC machines using new methods of interfacing techniques”.